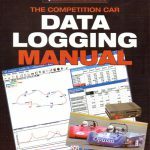 Much of the material on Data for Motorcycles is derived from information found in the data acquisition and chassis dynamics books on this page. 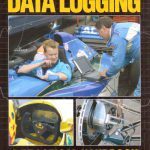 Unfortunately we know of no books dedicated solely to the topic of motorcycle data acquisition, but automotive-based books do offer plenty of advice that can be applied. 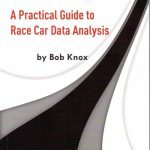 The motorcycle-specific chassis dynamics books on this page do not address data acquisition specifically, but contain material that can be applied directly to data analysis. Note that Data for Motorcycles is part of the Amazon Associate program; if you click on an Amazon link and make a purchase, a small commission goes to the site. 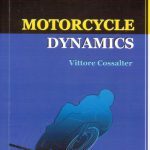 Recently reprinted, the first part of this book looks at the physics of motorcycles and motorcycle riding, while the second part examines the actual motorcycle components. Much of the information in both parts can be directly applied to data acquisition and analysis, and each chapter has a number of useful equations to help with math channels. Distributed in the United States by Motorbooks. 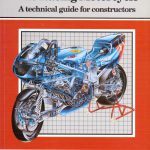 It is also available on Amazon: How and Why – Motorcycle Design and Technology. 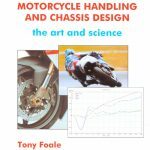 This book focuses on the basic principles in motorcycle design, and each chapter contains detailed aspects on the dynamics and physics involved; this information is very useful in analyzing suspension and GPS acceleration data, and the chapters include many equations that can be used directly as math channels for analysis. 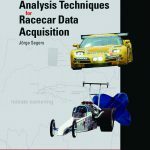 Chapters include engine & gearboxes, aerodynamics, suspension, and weight & inertia. More information is available at the publisher’s page: Broadland Leisure. Riding a motorcycle at the world championship level requires incredible skills, but the same techniques that took Troy Bayliss to three World Superbike Championships can help you become a better rider on the street or track.Inside the pages of Troy Bayliss: A Faster Way you’ll find techniques–visual skills, line selection, steering, braking, throttle control–that can clip crucial seconds off your own track time. Learn firsthand from the master himself, with some help from former road racer and Sport Rider Senior Editor Andrew Trevitt. Street riders, track-day riders and racers alike can all benefit from Troy’s candid discussion on riding a motorcycle well, including the mental and physical requirements of riding at your best. 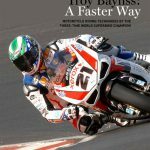 Available direct from the publisher or on Amazon: Troy Bayliss: A Faster Way. Sportbike suspension systems offer an unmatched variety of adjustments, but understanding how those adjustments work, and how to combine them to tailor your motorcycle to your riding style can be as challenging as riding well. That’s why many riders never try to make the most of their bike’s high-tech suspension simply because they don’t know where to start or are afraid of making their bike handle worse rather than better. Now, in the first book that specifically addresses sportbike suspension systems, Andrew Trevitt, senior editor of Sport Rider magazine and a former roadracer, guides you through the process of setting up your bike’s suspension to suit your riding style. This book covers the basics setting static sag for your weight as well as more subtle and advanced adjustments, such as how to optimize rear-end squat. A comprehensive discussion on chassis geometry, suspension technology, and the many interactions among adjustments helps demystify suspension tuning. Andrew also explains how to analyze various handling symptoms and make adjustments to correct them. Plus, he offers specific setup techniques for both the street and the track. 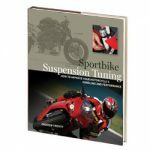 Available direct from the publisher or on Amazon: Sportbike Suspension Tuning.